DividendMax»Company Coverage»Country:United States»Exchange:New York Stock Exchange»Sector:Banks»Company:Wells Fargo & Co. 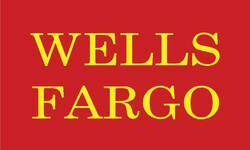 In 1852, Henry Wells and William Fargo founded Wells, Fargo & Co. The San Francisco-based company is now a diversified financial services group and, with $388bn in assets, ranks as the fifth largest US bank. Through its three operating segments, Community Banking, Wholesale Banking and Wells Fargo Financial, the company provides banking, insurance, investments, mortgage and consumer finance from more than 5,900 offices, as well via the Internet and other distribution channels across North America and internationally. Wells Fargo were severely hit by the global economic meltdown, cutting their dividend from 130c in 2008 to just 20c in 2010. They have been aggressively increasing their dividend payouts since then but are not expected to return the pre-recession payout rates in the near future, despite a very good dividend cover.